Les Canadiens, 1928. The three players are (l-r) Howie Morenz, Alfred “Pit” Lépin and Aurel Joliat. Okay, Habs fans. 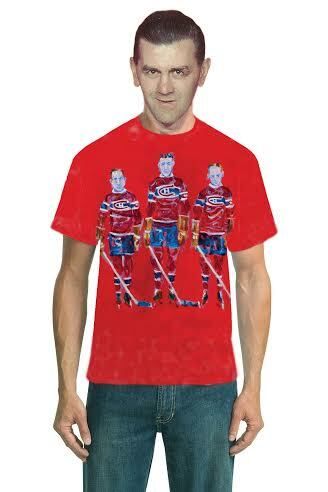 The last Canadian team in the Stanley Cup finals plays again Sunday and we’ve got a special shirt for this series: A Limited Edition (only 10 made) Montreal Canadiens shirt showing three players from the 1928 team — Howie Morenz, Alfred “Pit” Lépine and Aurel Joliat. The art work is by Vancouver artist Chris Dahl called Les Canadiens, 1928. The orginally painting is 14×18″ oil on canvas from last year. He’s now transferred the work to a T-shirt. The price is $99. 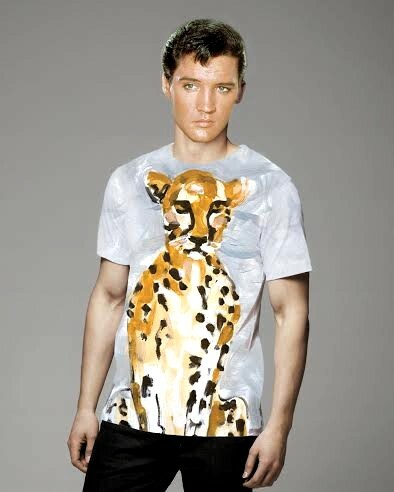 We have three more shirts by Chris Dahl at Angel Vancouver called Nancy, Babs the Cheeta and the Knife Throwers Wife. The latter painting is based on an old circus photograph. Chris is a former art director for a number of magazines: Maclean’s, Vancouver Magazine, Western Living Magazine, Equity and Trek. He was also an assistant director of public affairs at the University of B.C., where he oversaw the publication of the book UBC – The First Hundred Years . But long-time Vancouver residents may remember him back in the 1960s as a member of the psychedelic rock band My Indole Ring. Here are two archival videos of My Indole Ring. The first features the band at the Retinal Circus nightclub, with a trippy light show: The second video is from the CBC-TV Where It’s At program hosted by British singer Lulu (To Sir With Love) and featuring a number of other Vancouver bands from the 1960s: The Collectors, The Poppy Family and Papa Bear’s Medicine Show: Chris Dahl is still playing music — here’s a recent tune, Raising Hell: And here is another song from 1967 by The Collectors, Looking at a Baby: The Collectors were the first big recording act from Vancouver. The band eventually changed its name to Chilliwack and had a string of hits in the 1970s and ’80s. This one is called Baby Blue (not to be confused with the Badfinger song by the same name): Most of the Poppy Family will reunite this summer to play on July 12 at the Khatsahlano Block Party on Vancouver’s West 4th Avenue. Original band members Susan Jacks, Craig McCaw and Satwant Singh will perform with members of such bands as Destroyer, the New Pornographers and Black Mountain. 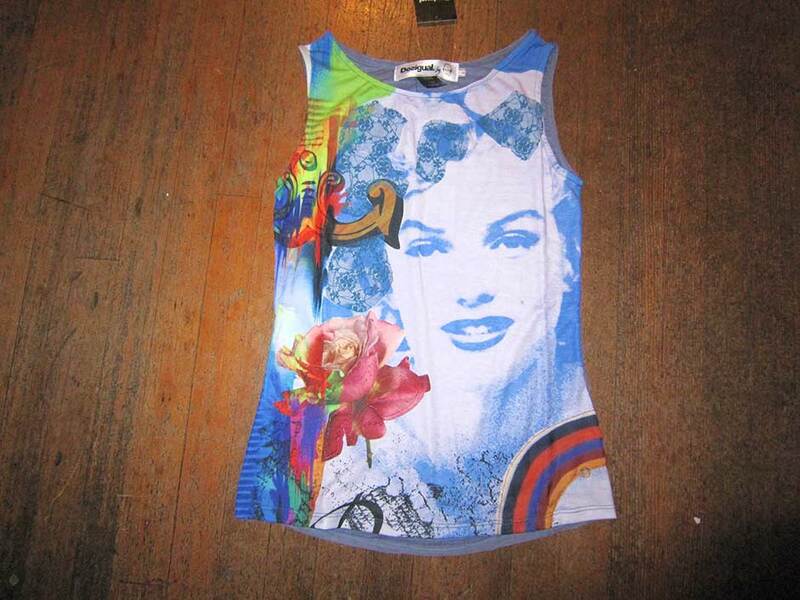 This entry was posted in Uncategorized and tagged Angel Vancouver, Chris Dahl painted T-shirts, Fashion, Gastown, Handpainted clothing, La Vida es Chula (Life is Cool! ), My Indole Ring, Papa Bear's Medicine Show, The Poppy Family 1967, Vancouver music history 1960s. Bookmark the permalink.